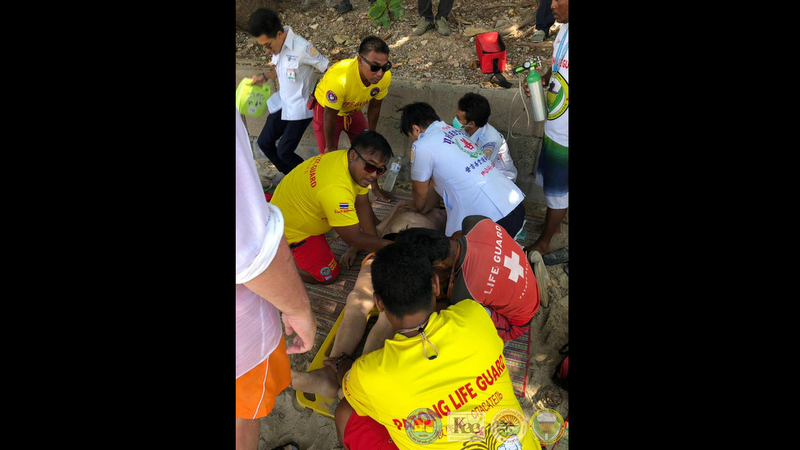 A Patong lifeguard noticed Sergey Popylovskckh struggling in the sea as he was hit by strong waves. 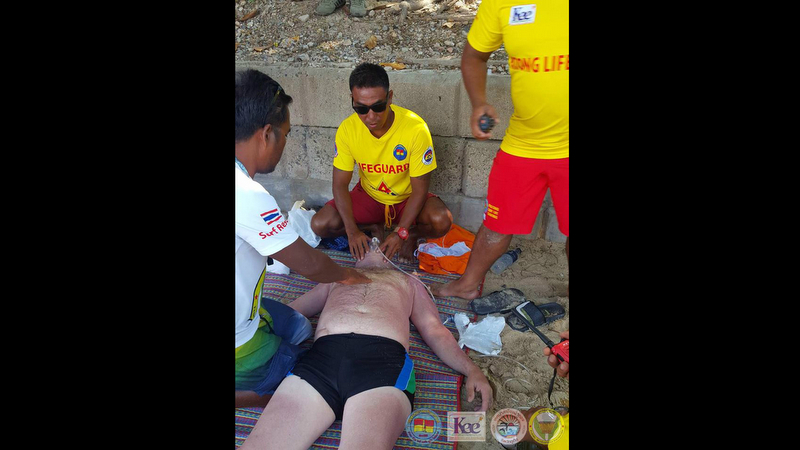 The lifeguard swam to the man’s rescue, taking him out of the sea and laying him on the beach. 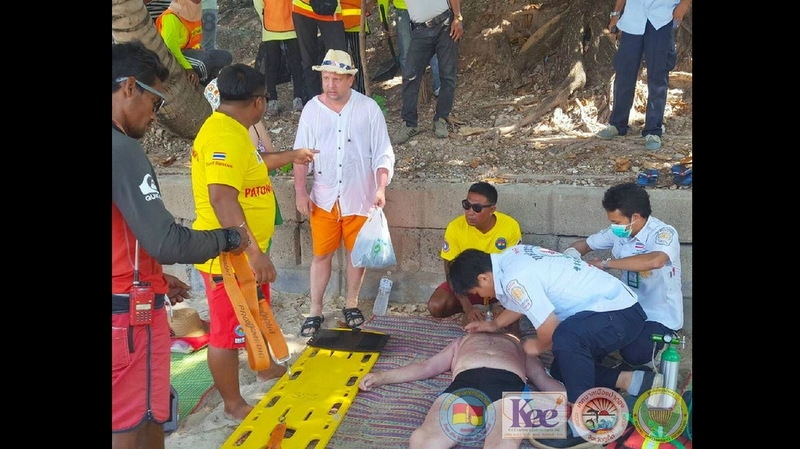 The tourist’s pulse was very weak at first and then it stopped so the lifeguard began performing CPR whilst awaiting Kusoldharm Rescue volunteers to arrive. 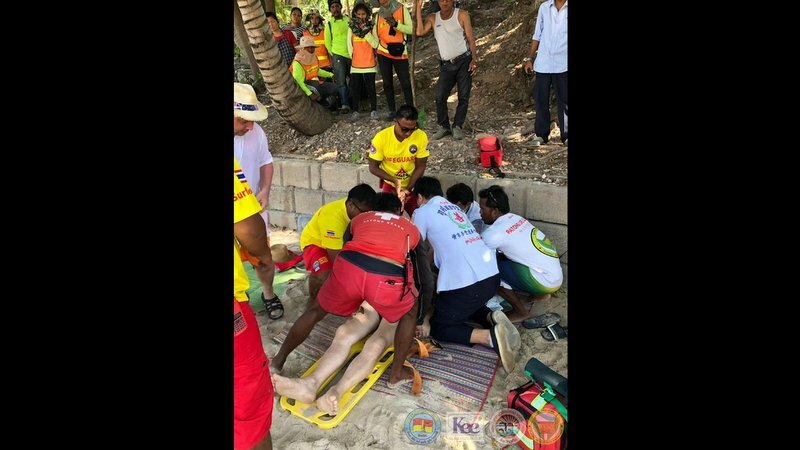 Five minutes into the CPR, the rescue team arrived and used an Automated External Defibrillator (AED) to revive the man. After three minutes, his pulse came back and he was taken to Patong Hospital to be examined and treated. Relatives of the Russian man told lifeguards that he had been suffering from heart problems. Mr Somprasong expressed his gratitude to all those who helped.